In our opinion presented in good order and set in a desirable position within the Churchill Court retirement development. Benefiting from being close to the spacious communal lounge. 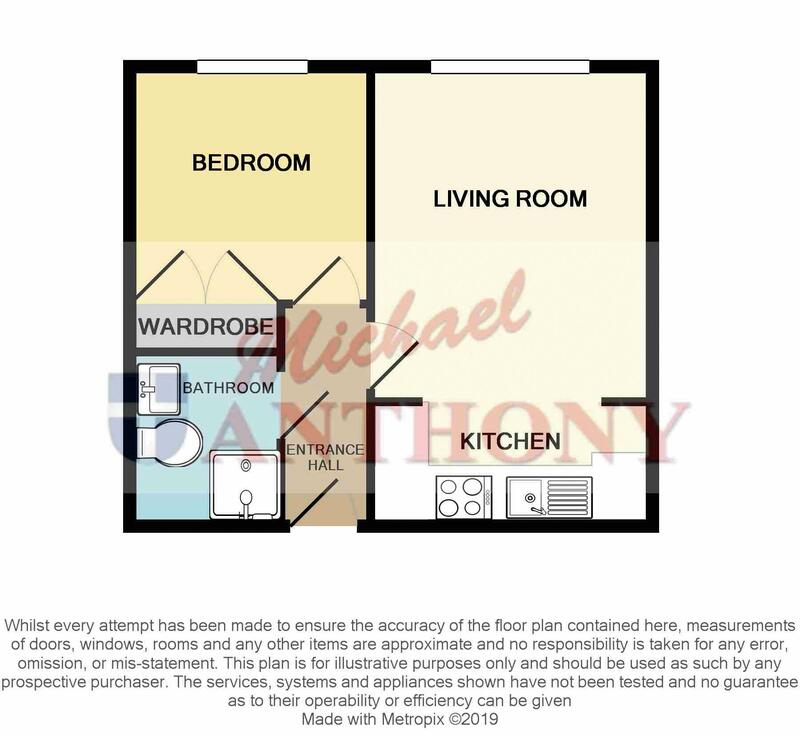 Accommodation comprises entrance hall, living room, kitchen, bedroom with built in wardrobes, bathroom. Communal gardens. Warden Control. Set off of Beaconsfield Road a short walk into the town centre. Call Ben to view. Entry via front door, electric storage heater, doors to all rooms. UPVC double glazed window, electric fireplace, storage heater, opens to kitchen. A range of refitted storage cupboards at base and eye level, rolled edge work surface areas, stainless steel single drainer sink unit, part tiled walls, built in oven and hob with extractor hood over, plumbing and space for a washing machine, further space for a fridge freezer. Double glazed window, electric storage heater, built in wardrobes. A three piece suite comprising a panelled bath, low level w.c., wash hand basin, splash back tiling, extractor fan.